Once water damage has occurred, it means instant responding to water emergencies. 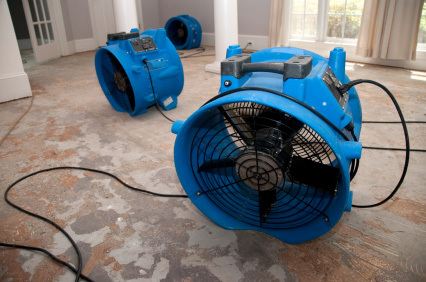 Today’s water damage repair and drying treatments involve the use of modern equipment and improved techniques to take out water effectively. Serious drying is closely monitored and things are documented to make sure the house is professionally dried up with a suitable treatment. A quick action reduces the extent of damage, limit further destruction and lower the cost of your money. Special machines designed for restoration services will help in discovering the moisture, extracting standing water and drying of home belongings. This complicated job is completed by deodorizing and sanitizing the whole affected area. Water damage may come from different sources—from loose home appliance hose to weather and natural calamity. Irrespective of where water damage comes from, today’s modern restoration services can handle any type and size of water damage. What should be done after the flooding? Take out water through blotting and mopping. Wipe off excess water from the wood furnishings. Take away wet cushions and upholstery. Put wood blocks between wet carpet and legs of furniture. Separate colored rugs from the wet floor carpet. Take out wet objects from the floor and put them to dry and safe place. Collect loose items from the floor. What to avoid after the flooding? Don’t hang feather goods and furs. Don’t just leave the wet fabrics in the area. Don’t leave magazines, books and other colored items on flooring and carpet. Never use a vacuum in taking out water. Don’t plug in TV and other appliances. Do not turn on fixtures when ceiling is wet. Stay away from areas with drooping ceiling. Hygrometers, moisture detectors and other advanced equipment are used to gauge the scope of the moisture inundation. Portable extraction and truck-mounted equipment can do effective removal of water. Gas-powered and submersible pumps are designed to give limitless pumping for the high-degree water damage. Infrared cameras are utilized to search for the hiding water at the back of ceilings and walls. The level of water damage will be surveyed and premises will be inspected. Thorough cleaning is essential and it involves safety inspection of the house. It identifies how far the damage has gone to destroy the various materials and belongings. More than this, serious tasks will be done for safety concerns while explaining the restoration process to the homeowner. If you know any issue about lead or asbestos you have encountered before, inform this to the restoration specialist. In order to prevent the development of furniture stains or rust on the wet carpet, the process water damage repair and drying also involves careful moving of the furnishings, materials and other objects. Water extraction process removes all the water that has entered your home. By means of a systematic water extraction, professionals can reduce the long hours of drying out. The affected area receives treatment in order to prevent the growth of mold and the effects of the secondary water damage. Without delay, advanced pumps and latest truck-mounted vacuum cleaner will get rid tons of water gallons from inside the house. In case there’s a need for extensive restoration and cleaning, services will require a systematic and organized move-out of materials and furniture. This is needed in order to protect things from any further damage. Well-trained technicians start to remove the water by using the quickest procedure. Based on the volume of water, restoration can use the dominant submersible pumps in addition to the industrial strength and wet or dry vacuum units. Effectively, it removes the left-over water that is not visible to the naked eye. This procedure assists in decreasing the time element of drying out the area and helps in avoiding the development of molds. Once the water removal procedure is accomplished, walls and floors may already appear clean and dry to the eyes. However, these are not yet completely dried as wetness can be felt when you touch the materials. Majority of the building materials such as wood and drywalls are absorbent and have more amount of water left in them. If water is not completely removed, materials tend to swell up and break down in the long run. Soon, the condition will result to the development of molds and mildew because of the insufficient drying of wood materials and drywalls. Process of drying / dehumidification. The role of professionals is to manipulate the area temperature and the relative humidity in getting rid of the left-over moisture. Specialists use the right equipment, as well as the industrial dehumidifiers and air movers to do away with the retained water. Progress will be tracked carefully with the help of moisture meters. Drying Equipment. Speedy air movers produce airflow on carpets, walls, furniture and pads which facilitate the moisture evaporation. By using an industrial-dehumidifier, the secondary damage caused by the water will prevent the deforming and bulging of walls, furniture and flooring. The surfaces, floors and walls of your house will be in dire need of specialist cleaning and treatment. In addition to the structure’s cleaning, restoration services will clean your stuffs like clothes, upholstery, furnishings and other personal things which can be restored from the water damage. Usually, the flooded area requires removal of bad odor and deodorizing it with proper treatment. These are necessary because wet things sustain bad odor. Skilled cleaners are experts in determining and taking out unpleasant smells by using fogging equipment and air scrubbers. Effectively, this equipment will treat the hard-to-remove odors which are not found from sub-standard restoration services. The final step in water damage repair and drying is restoration. This process is engaged in bringing back the condition of the house or the business. It can also involve slight repairs like replacement of drywall and changing new carpet. Or, it can involve some major repairs like refurbishment of different areas like rooms and flooring. Water damage is a big threat to the household and the family. However, water damage repair and drying procedures are made easy in order to rebuild affected parts and belongings. Be smart enough in finding restoration services for your home’s complete functionality. To learn more about the process of water damage repair and drying in Florida, please contact us at DMG Insurance and Financial Services, Inc. (http://www.dmginsurance.com) at 543 N state Road 7, STE 106, Royal Palm Beach EL, 33411, phone 561 422 7071, Fax 561 422 7072.